We are getting in the festive mood finally, only a few days before Easter but we have been doing everything we can to celebrate this fun holiday. 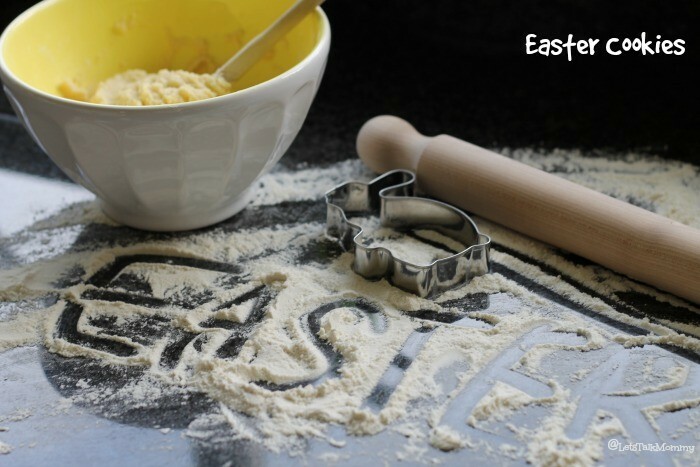 We have made Easter hats, Decorated Easter Baskets, and now we are making Easter Bunny cookies. I have many Easter memories as a kid; dying eggs, baking cookies, and going on egg hunts with my siblings at the local fairgrounds. I want to create such memories for my kids, now, too. They have been so sick lately so at the slightest thought we might miss Easter altogether in our pjs, I opted for the cookie in a bag option at Tescos instead of from scratch. Actually it came in a cute Easter bunny head box below, instead of a bag. But we still had so much fun mixing it up and made some great memories cutting out our bunnies. I was even impressed they had an egg free one for Buba’s allergies. Unfortunately for me, I have a camera shy son and I couldn’t get any pictures of him cutting out the bunnies in the dough I rolled out for him. He would either throw it at me, or at the camera, I would shout, he would cry or scream, “no, no, no, no” every time I picked the camera up. 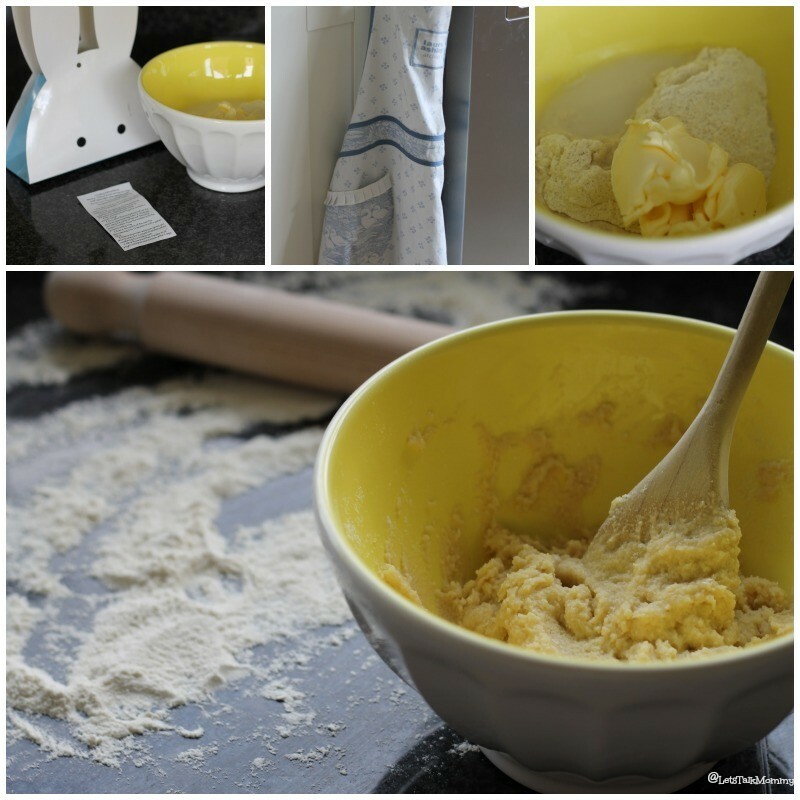 I didn’t want to ruin the moment so you only get the before and after photos of our cookie making afternoon. He loved watching me roll out the dough, and asking, “what you doing now, Mommy?” or pointing “what’s that for, Mommy?” I love the he has so many questions while he figures out what things are used for in the world. He is very curious all the time. My own little Curious George! He was so excited to watch his bunnies bake in the oven. At 2 1/2 years old he has no concept of time. He kept asking, “are they done now?” two seconds later, “make them done Mommy, peaseee!” You can tell which ones Buba cut out and which ones Mommy helped with. There were very few that came out looking like a bunny instead many were Easter blobs. 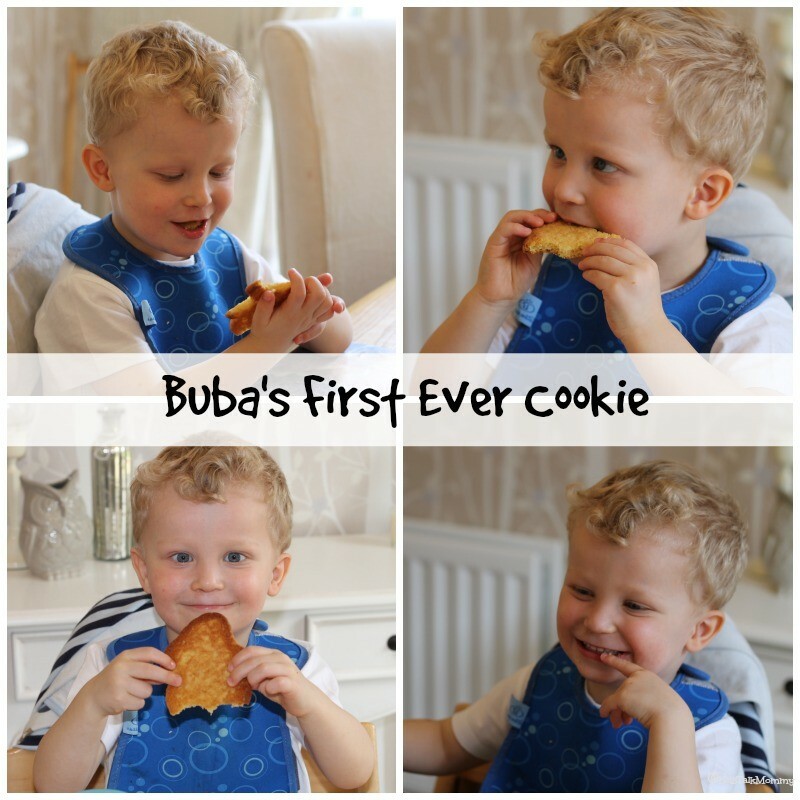 I think the most exciting part about the whole experience for Buba was that he got to try his very first cookie ever. We are not big on giving our kids sweets, biscuits, ice cream etc mostly due to his allergies it’s easier if he doesn’t eat any of it then to try to find alternatives all the time and him accidentally eat something he shouldn’t. But this was a rare moment and one I don’t think he will be forgetting anytime soon. Look at that happy cookie monster face! He commentated through the whole experience right down to the very last bite. It was hilarious to listen to him while he enjoyed every last crumb of his Easter Bunny Cookie. You would have thought the sugar was instantaneously seeping into his veins. He would not shut up! I took that as a good sign that eating his first cookie was an experience he won’t forget any time soon. Nor will I. It was a proud moment to guide him along and watch him be such a big boy helper now in the kitchen. It’s such an emotional thing to start doing crafts and baking with my kids like my momma used to do with me. I can’t believe they are even old enough to do this now. They really are growing up way too fast. I am glad I have the chance to sit down and document it all so I can recall it time and time again, here. Children really are amazing additions to life. hmmmm they definitely did taste good. Thanks Mel. It was fun just wish he would have let me take more pictures. He hate for the camera is my nemesis because I love it so much. what a lovely post. my little guy at the same age stopped liking the camera too! 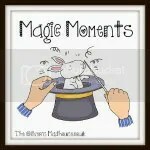 he has now got over that stage, hope yours does too so you can get those pictures .. loving the last 2 though .. super cute! Ahh thanks Jaime. I know it’s frustrating when they hate the camera isn’t it? I hope it doesn’t last long. Thanks for hosting. It sounds like you had the most wonderful time with this Jenny. I love doing crafts with POD although we should try and do more cooking at the weekend. Thanks Charly. Yes usually I have to sneak photos of Buba too. But on this day I think he would have done anything for a cookie. I love that he is old enough now we can bake together. I did it with my mom all the time and can’t wait until Missy Moo can join in too. ooooh thats a great idea and sounds delicious. We can’t do chocolate in this house with Bubas allergies but good idea if you get more than a few eggs. Thank you, it was so fun. Only wish I got more pictures I was in the moment. He definitely was enjoying his first cookie. I haven’t heard the end of it yet. It’s been days.